Cataract surgery involves removal of the crystalline lens (cataract) and replacing it with a clear artificial lens implant. It is normally carried out under a local anaesthetic as a daycase procedure with the patient being awake during the surgery. After the pupil is dilated and the eye is anaesthetised, a small (2-3 mm) self-sealing incision (opening) is made on the periphery of the cornea (limbus). The thin capsular bag enclosing the lens is opened and the lens material removed. An artificial lens implant is implanted into the empty capsular bag. Normally there is no need to use stitches. The artificial lens can stay in place indefinitely. What is the risk of cataract surgery? Whilst cataract surgery has a very high success and satisfaction rate, like any procedure it carries risks. The most serious risks generally relate to complications occurring during surgery (intra-operative) or after surgery (post-operative) which may result in less than desirable visual outcomes and on rare occasions in the loss or deterioration of vision. Whilst it is imperative that you are aware of these risks and take them in to consideration as part of making an informed decision, it is important to highlight that the overall risks of cataract surgery are low. Please also see the next section. Will I still need to wear glasses after cataract surgery? The most common indication for cataract surgery remains the inability to achieve satisfactory vision even with an updated spectacle prescription. Cataract surgery however provides a unique opportunity to try and influence your prescription (refractive outcome). 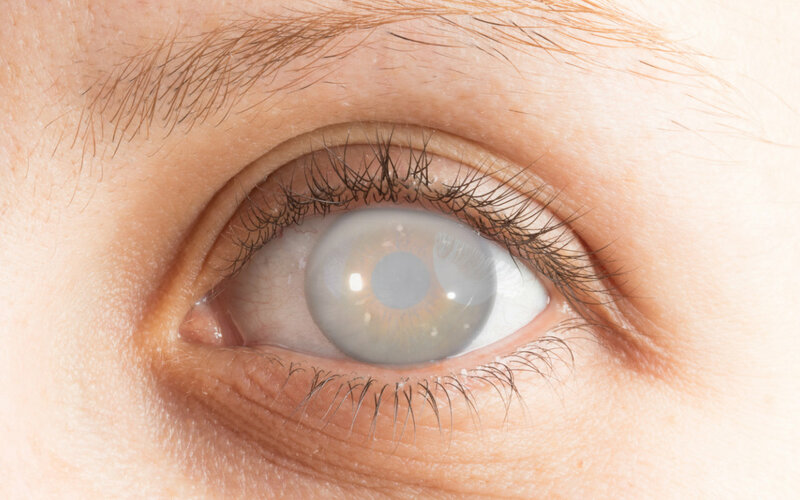 Prior to surgery the surgeon measures the lens implant power required to achieve the desired target, which is discussed and agreed with the patient. Traditionally the objective is to achieve a visual outcome which renders the individual independent of glasses for distance, but dependent on glasses for near (reading). This is however a personal matter, which you can discuss with your surgeon. More recently implants (multifocal, accommodative) have been introduced which can offer the benefit of both distance and near vision, although not all candidates will be suitable for these implants. It is important to realise that despite all efforts and calculations, there are a proportion of patients who may not achieve the predicted refractive outcome and may still need to wear spectacles. We can all experience cataract at some point in our lives. We explain what a cataract is in detail. 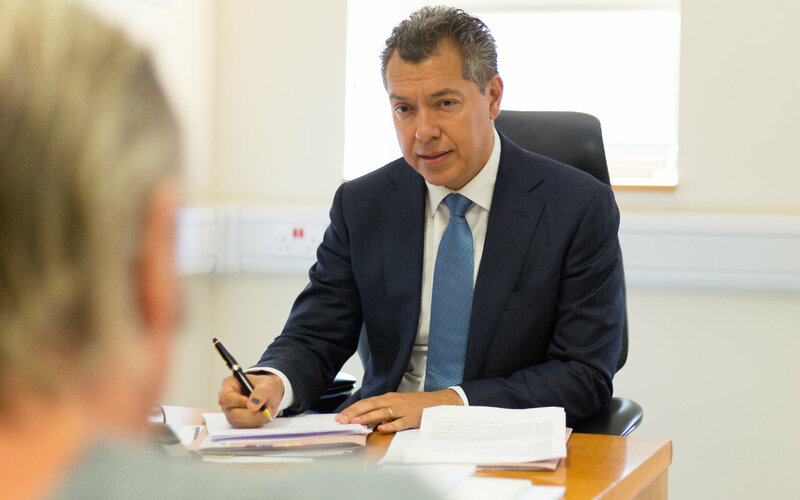 The first step towards any treatment is a comprehensive consultation with Mr Sherafat. He will go through your concerns and provide you with valuable feedback and a solution to your issue whether it involves surgery or not. You’ll always be in good hands. 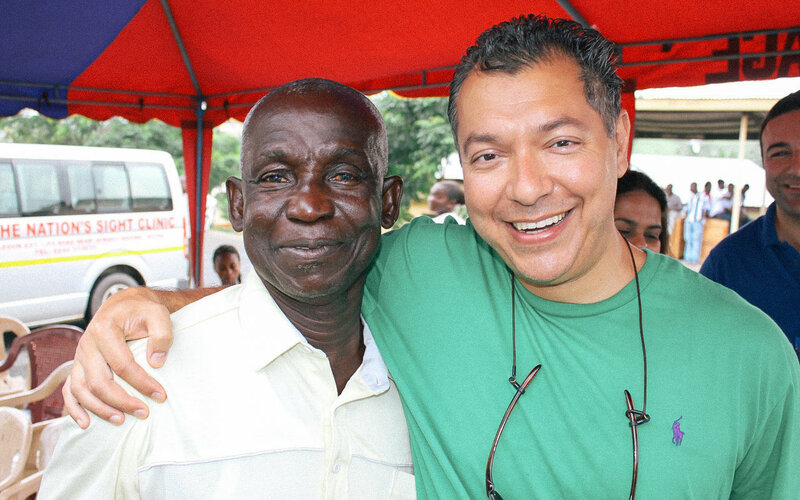 Mr Hooman Sherafat has always been actively involved in charity work on an international scale. 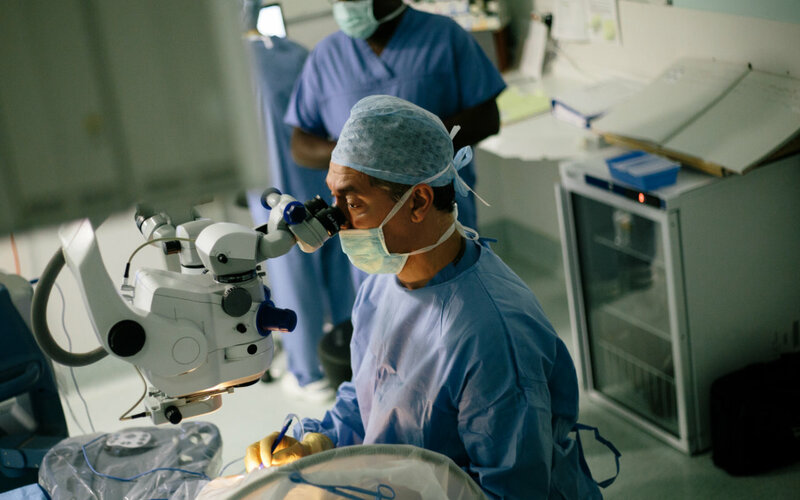 He has travelled to various developing countries and continues to support charitable eye surgery where he can. Expert, ethical care tailored to the needs of the patient.